A fire broke out at Samsung Heavy Industries’s Geoje shipyard on Wednesday morning, only 18 days after a major crane collapse accident which killed six workers and injured more than 20 others. According to the local firefighting department, the fire began in some air conditioning equipment at the shipyard around 10am and was put out in about half an hour. No casualties were reported. 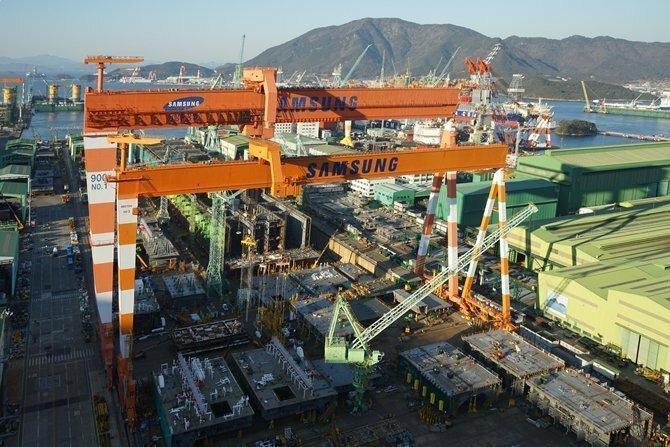 South Korea’s labour ministry has ordered Samsung Heavy Industry to partially suspend operations after the fire incident and the shipyard has been told to improve safety conditions and seek approval from authorities to resume operations. Authorities have started investigations into the cause of the fire. Earlier this month, local police raided the offices of Samsung Heavy Industries as part of investigations into the crane collision accident.